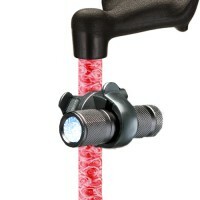 WalkSafe Flashlight adds extra light for safety in dark places and attaches to most canes, walkers, transport chairs, and wheelchairs. 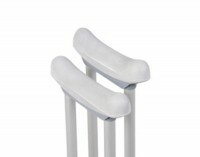 The Crutch Hand Grips provides comfort and durability needed for your crutches. 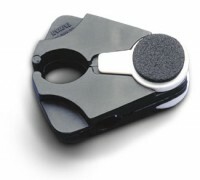 The Crutch Hand Grips by Drive Medical provides comfort and durability needed for your crutches. 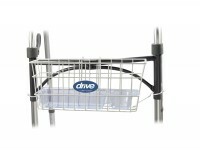 The Walker Basket can be used with all 1″ folding walkers. It comes with a plastic insert tray and a cup holder, making transporting personal items a cinch. No-Slip Safety Strips. These textured strips are excellent to prevent you from slipping in either bare feet or shoes. Use them in the tub or shower, around a pool or on wheelchair foot plates. Size 3/4″ x 17″ (2cm x 43cm), white, 6 strips / pkg. 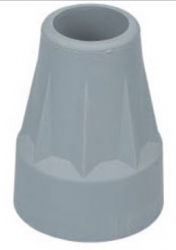 Top quality, rubber construction with a metal insert. Set of 4. 1 1/8” (2,8 cm) outer diameter. The Ice-O-Grip attaches easily to all standard size wooden or aluminum canes and crutches, and can be conveniently flipped up when not in use. 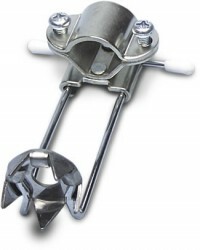 Stainless steel prongs grip the ice to maximize stability and user safety. The Glide Skis by Drive Medical are for use with all 1″ folding walkers to provide a smooth transportation over most surfaces. The durable, composite construction ensures a long life and can be easily added to most walkers.